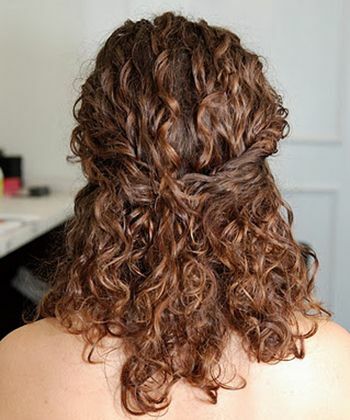 this trick works really well... you just have to curl your hair but not the traditional curl you have to have the clam of the curler closed and you have to wrap your hair aroung the barrel of the curling iron then you have a cute little wavy curl. after that you scrunch in a little bit of defrizzing gel then you have curly/wavy hair… how to make a mini 30 more accurate I have wavy hair (like, not wavy kind of wavy but they tend to get wavy as I always tie a bun!) and I always wash my hair with cold water. Hot water makes them frizzy and dry whereas cold water keeps them shiny and I swear by this- no fizziness at all! You know that your frizzy hair has the potential for smooth waves, but no matter how you style it, your hair ends up frazzled by the afternoon. If I let it dry naturally, and don't touch it, it still goes wavy but still very frizzy (after using low sulphate shampoo, conditioner and Moroccan oil). It's a long bob (shoulder length) with a few very long layers in.